The Silver Stoat's Tail Hitch has a sparse dressing designed to allow the fly to skip tantalizingly across the water surface causing an exciting surface V wave. It is an excellent fly for bringing sea trout and grilse to the net during the summer months. 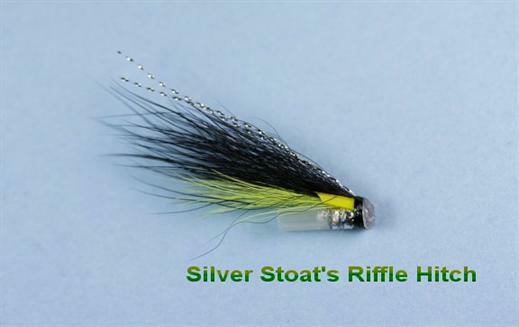 Currently there are no comments about the Silver Stoat's Tail Hitch fly pattern from other fly fishermen yet.